How many books have you read recently that actually changed your thinking on opinions you have held near and dear for decades? Not many, I wager. In my case, damn few. Like most people I read for entertainment, education, reinforcement, seldom to challenge firmly held views. As a three-decade drug prosecutor, I admit to some biases and assumptions, which place me among the anti-drug ranter ranks. Not an “Okie from Muskogee” (Merle Haggard 1969) ranter, but one who is nevertheless skeptical of policy wonks, social “scientists,” and any “expert” who claims to have the answer to the cluster you-know-what which drug use, trafficking, and enforcement have been for the last 80 years in this country. 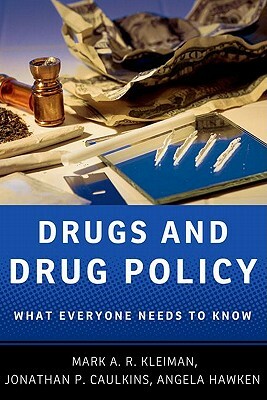 The book “Drugs and Drug Policy; What Everyone Needs to Know” by Mark A.R. Kleiman, Jonathan P. Caulkins and Angela Hawken (don’t let the deadly title scare you off) challenged some of my views and probably some of those of the readers of this paper. I haven’t converted to a legalization advocate or anything. Nor are the authors of this book. But they do ask and try to answer some tough questions that permeate this confusingly complex subject. Or else they admit that the question is presently unanswerable. The book avoids the vocabulary employed by experts in the field that is intended to demonstrate that their academic expertise puts them on a higher plain than the rest of us. Even technical terms like capture rates and demand elasticity are deciphered in plain English sufficiently to make the point. Kleiman, a professor of Public Policy at UCLA, and his two partners, don’t claim to have all the answers or that progress will be easy. But they do ask the right questions, and their answers and discussions can benefit anyone connected to the subject—users and enforcers, policy makers and implementers, innocent bystanders and citizens. 1. Focus enforcement, especially the sanction of longer sentences, on traffickers who use violence and destruction, menace neighborhoods, and cause collateral damage to others. Conduct, not drug volume, should drive enforcement. Dealers not in these categories should be subject to routine attention and sanctions. 2. Eliminate long-delayed punishments for drug dealers like ineligibility for public housing, educational loans, and the like. These serve only retribution and make it more difficult for those who want to join the mainstream. 3. Reduce the number of dealers in prison from the present half million. Reducing sentences for non-violent, run-of-the-mill dealers would have no effect on drug supply and would free up more resources to target more culpable dealers. Plus reduce the pressure on governments to transfer education dollars to prisons. Drugs and Drug Policy proposes over a dozen other suggestions in areas like treatment, health care, international supply control, harm reduction programs, alcohol and cigarette taxes, consumer marijuana cultivation, and a bunch more. There will be the temptation for policymakers to applaud the ones they already agree with and reject the others. As if the status quo is so rosy we can’t afford some fresh thought on the subject. Not all wonks are created equal. These three are worth reading with an open mind. Posted: 7/7/11 at 10:26 PM under Uncategorized.